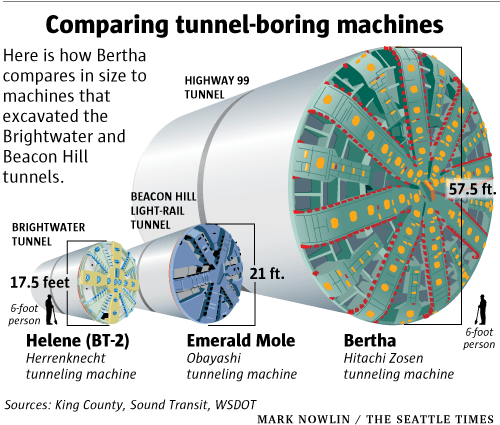 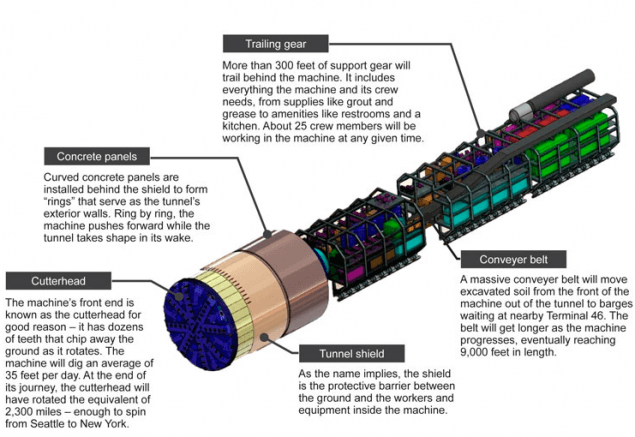 Bertha is a high tech tunneling machine that is operated by a crew of twenty people. 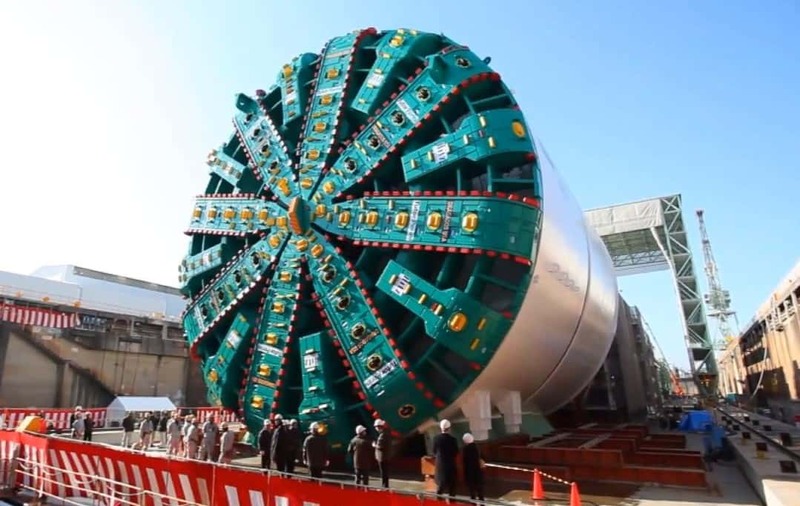 It was being used to build a 3.1 billion dollar underground highway when it encountered the object. 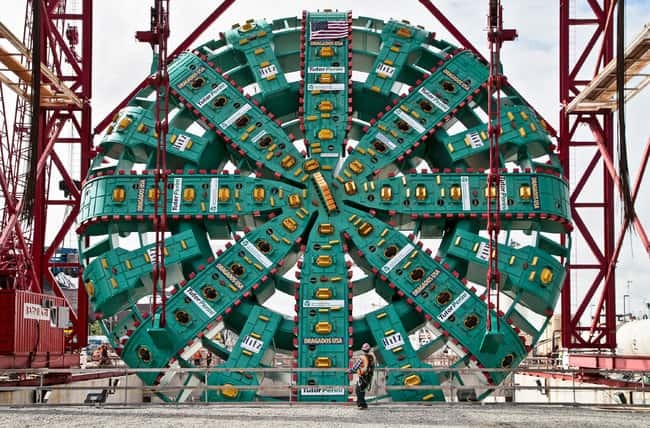 ^ This photograph of Bertha was taken just before the machine was lowered underground to begin digging in May. 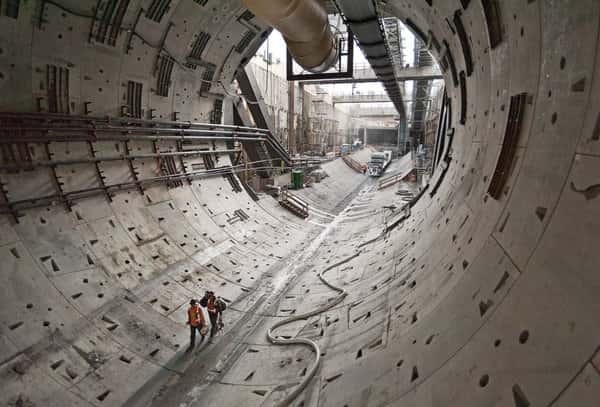 This photograph shows workers walking through the first rings of the highway tunnel that is being built underneath Seattle.